Posted September 28th, 2017 filed under API, Professional and Enterprise, Text Alerts. Patient engagement is a common buzzword within the health care community, but it's more than just a tactic to increase patient spending. Indeed, one of the major goals of engagement efforts is to reduce the cost of care by empowering patients to take an active, informed role in their treatment plans. Doctors' offices that engage their patients on a regular basis – not only when patients come in for an appointment – stand to gain increased patient loyalty, improved community health and a more knowledgeable patient population. There are a number of patient engagement solutions available today, but SMS notification is one of the most powerful. According to a Dynmark International (now Compai) report, SMS messages have a 98 percent open rate compared to email's 20 to 30 percent open rate. In a clinical setting, this makes SMS a uniquely compelling way to reach patients at any stage of the care continuum. Recent regulatory changes have closely tied hospital reimbursements to quality standards. Specifically, the Quality Payment Program (QPP), a part of the Medicare Access and CHIP Reauthorization Act (MACRA) incentivizes providers by offering significant payment adjustments to practices that document and submit improvement data. Quality: This replaces the old Physician Quality Reporting System (PQRS). Improvement activities: Rewards physicians who focus on patient safety, care coordination and beneficiary engagement. Advancing care information: Concerned with how care information is shared between providers, patients and state registries. Patient engagement lies at the core of each of these categories. To understand how engagement affects reimbursements, it's helpful to understand how engagement differs from patient experience. Dr. Adrienne Boissy, M.D., M.A., explained that while the patient experience deals with the actual treatment and care provided in a clinical setting, the goals of patient engagement are focused on reducing costs and empowering patients to take control of their health. 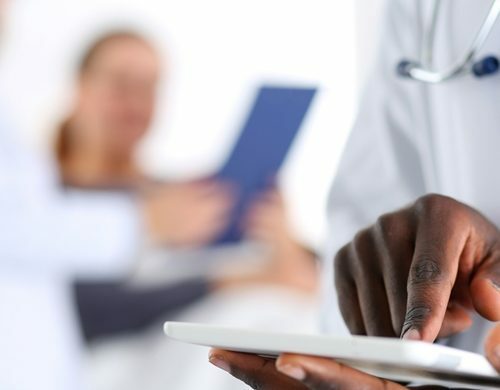 Engagement solutions such as health care portals achieve these goals by providing educational materials, secure messaging platforms and communication before and after appointments. Practice automation can consist of any kind of technology that diverts human resources away from routine assignments and put them toward more complex tasks. For instance, an electronic health records system that displays lab results would free up the phone lines so that administrative staff can focus on other important patient needs. SMS notifications work in the same manner. An SMS system can send patients appointment reminders and driving directions the day before their scheduled visits. This could help reduce the number of no-shows. That's nothing to sneeze at, either. According to research from SCI Solutions, no-shows cost the healthcare industry roughly $150 billion annually or about $200 per missed appointment. After the appointment, SMS notifications can serve as an unobtrusive follow-up to give patients more information about their treatment plans and lead them to additional resources. If a patient needs to make another appointment, a notification can direct him or her to the easiest way to do so. With the Swift Development Kit™, an IT professional can easily integrate the API within a provider's current system with little hassle. An SMS system for patient engagement should be quick and painless, and the Swift Development Kit™ makes that a reality. To learn more about how to integrate SMS notifications into your patient engagement strategy, sign up for a free demo today.